Click here to download and read the full CCHR report Community Ruin — Psychiatry’s Coercive ’Care’ — Report and recommendations on the failure of community mental health and other coercive psychiatric programs. 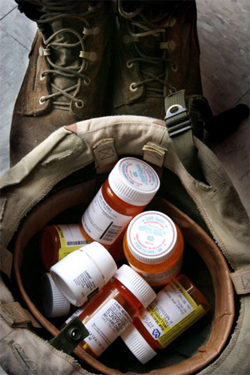 The advent of Community Mental Health (CMH) psychiatric programs in the 1960s would not have been possible without the development and use of neuroleptic drugs, also known as antipsychotics, for mentally disturbed individuals. Neuroleptic is from Greek, meaning “nerve seizing”, reflective of how the drugs act like a chemical lobotomy. The homeless individuals commonly seen grimacing and talking to themselves on the street are exhibiting the effects of such psychiatric drug–induced damage. “Tardive dyskinesia” [tardive, late appearing and dyskinesia, abnormal muscle movement] and “tardive dystonia” [dystonia, abnormal muscle tension] are permanent conditions caused by tranquilizers in which the muscles of the face and body contort and spasm involuntarily. For almost 50 years, psychiatry has promoted its theory that the only “treatment” for severe mental “illness” is neuroleptic drugs. However, this idea rests on a fault line. The truth is that not only is the drugging of severely mentally disturbed patients unnecessary — and expensive, thus profitable — it causes brain– and life–damaging side effects. The Netherlands Institute of Mental Health and Addiction reported that the CMH program in Europe created homelessness, drug addiction, criminal activities, disturbances to public peace and order and unemployment. 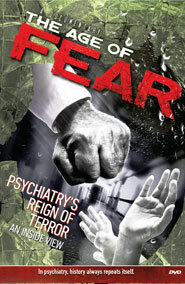 CMHCs became legalized drug dealerships that not only supplied psychiatric drugs to former mental hospital patients, but also supplied prescriptions to individuals free of “serious mental problems.” Deinstitutionalization failed and society has been struggling with homelessness and other disastrous results ever since. There are workable alternatives to psychiatry’s mind–, brain– and body–damaging treatments. With psychiatry now calling for mandatory mental illness screening for adults and children everywhere, we urge all who have an interest in preserving the mental health, the physical health and the freedom of their families, communities and nations, to find out for themselves. Something must be done to establish real help for those who need it.